The Social Security disability program can accordingly provide financial assistance to people who meet the current Social Security disability requirements through the options of either the primary Social Security disability program or that of the Supplemental Security Income (SSI) program. According to the www.ssa.gov website, as many as 3 out of 10 Americans who are actively engaged in the workplace may have some need for Social Security disability checks at some point. The Social Security death index includes, in all, some 82 million different records of people who have died after having been registered in the U.S. social security system. In this regard, the SSN death index can be used by employees of the Social Security Administration to cease payments to particular accounts. The public accessibility of Social Security death records also allows for people to carry out genealogical research. Social Security information may be necessary to refer to, and in some cases mandatory, for people who have a financial obligation to support this system with their tax dollars and at some, perhaps later point will be eligible to receive financial assistance under its provisions. The Social Security direct deposit option, for people falling into the latter category, can be researched on the Social Security Online site maintained, at www.ssa.gov, by the Social Security Administration. People who have lost their Social Security card can refer to the website Social Security Online in order to learn how to go through the process for receiving a replacement social security card. To carry out a “replace social security card” process, people will have to go through the three steps of filling out an application for a social security card, furnishing proof of identity and citizenship, and submitting the completed documentation to the Social Security Administration. The U.S. Social Security Card, or the Social Security Number (SSN) which it has and provides to the Social Security card holder, is an important kind of document in the United States for proving one’s citizenship and identity without doubt. 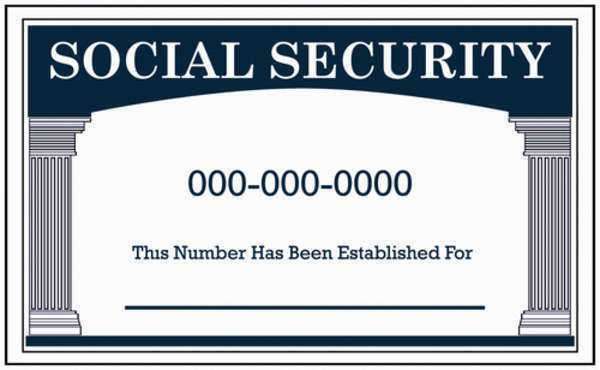 Social Security cards are provided by the Social Security Administration according to the Social Security Act, Section 205 (c)(2), and as explained by United States Code Title 42, 405, (2)(a). The Social Security calculator is provided by the U.S. Social Security Administration in order to allow people to determine the amount of the financial assistance to which they can be entitled under the rules governing this independent department of the U.S. Federal government. In this regard, the Social Security payments to be gained can be determined through the various options of an online, detailed, or quick Social Security calculator, all on the www.ssa.gov. Social Security forms are provided online to people who are enrolled into or wish to enroll in this system as it is maintained by the U.S. Social Security Administration at www.ssa.gov. Social Security Administration forms can accordingly come in such various categories, accordingly listed on the website, as Online, Medicate, Disability, Reconsideration and Appeals, Benefit Application Supporting, and Other Social Security Forms, as well as Information You Need to Apply for Benefits. Social Security name change notification will have to be given in order to determine that a person continues to hold and exercise without interference his or her right to making use of this United States governmental system for providing retirement benefits and other kinds of financial assistance. In this way, people can refer to the online “Changing Your Name on Your Social Security” guide at the Social Security Online site. The Social Security index is maintained by the U.S. Social Security Administration toward the ends of both determining the success of taxpayers within the U.S. in meeting their financial obligations to the Social Security system as well as the ranks of those who are accordingly entitled to reap the benefits of the revenues thus collected at a certain point or in the presence of certain kinds of conditions. The Social Security Act put in place the ability and right of Americans to gain access to various kinds of financial assistance, such as for Disability and retirement from the labor force. In this regard, Social Security law is regarded, in historical terms, as one of the most important sections of the framework of New Deal programs put into place by the Franklin D. Roosevelt administration, specifically through the President’s signing of the Social Security Act of 1935. Social Security income can be subject in its own right to taxation, but the same is not true of the similar, and in some senses supporting, package of legislation represented by the Supplemental Security Income Act. In contrast to the Social Security System, Supplemental Security Income assistance is not based on a specific area of tax revenue, but rather on the general store of taxes collected through the efforts of the federal government. The Social Security Stimulus Act was a proposed piece of legislation under the Obama administration which, toward the end of 2010, was widely viewed as having failed to draw the political traction in Congress which the President and his supporters attempted to gain for it. This legislation would have provided for a Social Security stimulus check to the amount of $250 to people already on Social Security coverage, to an overall expense of $13 billion. The Social Security tax regularly paid by Americans is under the legislative coverage of the Federal Insurance Contributions Act (FICA), as also encompasses under its authority the separate federal program of Medicare. People interested in the contents of this law and the consequent impact on Social Security taxes and the overall Social Security tax rate can refer to the source, as contained in the United States Code, of Title 46, Subtitle C, Chapter 21. Social Security provides for the retirement of American citizens, with the observed Social Security retirement age being placed at 65. In this regard, people can choose to retire before this age, as early as age 62 without losing access to Social Security benefits, but the full amount of the payments as might otherwise have been made will accordingly be reduced to some extent. In this way, when deciding when to leave the labor force, people should consider potential Social Security benefits.